Ruth tagged me with the Four Fictional Characters Tag. Thank you, Ruth! 2. 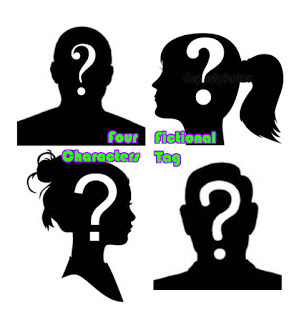 List four fictional characters (use pictures if you want! They can be from movies or books) and, if you like, describe what they're like and why you believe you relate to them. 3. Tag a few other blog people. Well, I did number one. On to number two! Molly Gibson. 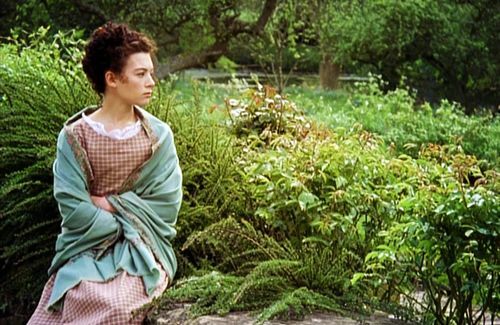 I am not a lot like her, I do not share her love for bees-nests (if that is the correct way of spelling it), nor her quietness, but as for the rest, I can relate to her. 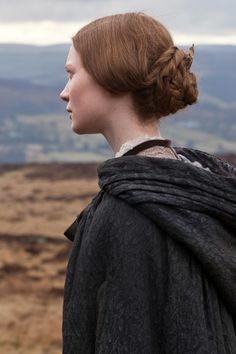 Jane Eyre. Again not very much, only a little that I relate to her. I like her because she is independent. Which I am not so very much, I would be terrified there in that old house. But she knows how she feels and thinks and believes about certain things, and I do too. I don't know if that makes any sense. :D And she stands up for herself, which I would do too, in certain situations. Catherine Morland. She has a huge imagination and likes to read books. Basically me. 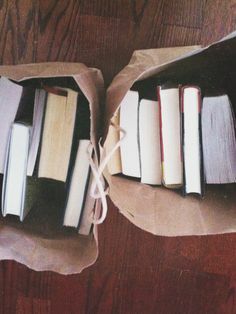 Although I would not read the sort of books she read, but on the other hand, I might, if I had lived in the time she lived. Maria. Well, first of all, I do not play the guitar, nor do I have short hair, and I don't sing either (at all, even though I wish I could). 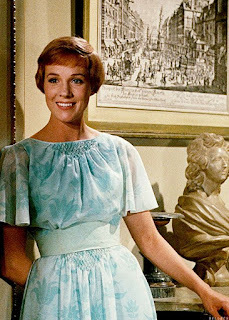 But there is something about her that I can relate to, her way of looking at life, cheerfull, eager to begin a new life, yet scared at the same time, always doing other things, (singing while she should be at the abbey, reading while I should do my studying). I am only young and have not had a lot of experience all the above characters have had, but at some points these four are the ones I relate to the most. I would say Catherine is most like me, then Maria, then Molly, and then Jane (very little in common with her). I haven't been around blogging for these past weeks, but I have been busy with exams. And that was a very busy time. I really enjoyed doing this! And as for tagging other bloggers, there are probably a lot of bloggers who have allready done this tag, so I'll just tag Everyone Who hasn't done this Tag yet. This was a lovely post, Rebekkah. And I recognize all these characters! (Which is fun! :)) Nice choices! Lovely post! I just happened upon your blog, but it is very pretty! I hope you enjoyed the tag. It is quite interesting seeing the tag that I came up with go everywhere, through all sorts of blogs.